At first, it seemed to me that with an old and experienced Festival like Locarno, and its open space Piazza Grande auditorium, Zurich would have little to say. But a few days into the Festival, there was a change and Zurich proved that in the first decade of its existence it has steadily grown among an ever widening circle of cinema goers. It established itself so rapidly that you can’t believe it’s only a ten years old Festival. The reasons for this success are easily identified. It certainly has something to do with impeccable management and programming, very enthusiastic audience, and good reception by the filmmakers from around the world in its past ten events. But add to these factors, the beauty of the city itself with its good seasonal weather, and perhaps that student’s enigmatic remark that I still couldn’t fully decipher! Zurich is the largest and most populated city situated on the slopes of the Alps Mountains on north east of Switzerland. The city stretches on both sides of the Limmat River that flows out of Lake Zurich. It is the economic and cultural center of the country, and also one of the most beautiful cities of the world with a German speaking population who most also speak English, French and Italian. Since 1950 illiteracy doesn’t exist in this city and its universities are among the best in the world. Albert Einstein was once a Swiss citizen and spent most of his formative years here at schools and Zurich University. His home and working place at university is one of the countless tourist attractions of the city. Yes, all these are true, but then, where is love?! There’s no doubt that movie stars are an integral part of the cinema and they add to the charms of Festivals; and a young Festival like Zurich, among other things, could find its way to quick fame by inviting them. 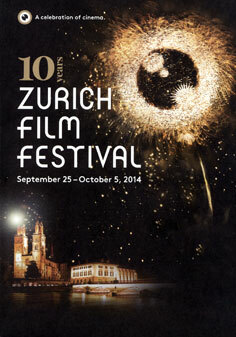 Zurich Film Festival programs, like other similar venues, are divided into a variety of sections, but its most important ones are: competition section for the long and short films, international documentary competition section, and a competition section for Swiss, German and Austrian documentary films. third outing a “young talent”, but it’s good. The début feature award went to Chubby directed by Bruno Deville. It’s about a twelve year old boy who weighs 100 kilos. We see how he fightes with his problems and although nobody can do anything about his condition, he still pleases the audience. One other novelty of the Festival was a green carpet instead of red carpet for the guests. This is apparently an environmentally friendly act and reminds me of my fellow voyager on the plane, whom I could neither find, nor an evidence of his remark anywhere during the Festival! Javidi in his first feature film shows that he is here to stay. Primarily, the film with the story that unfolds in an apartment, and presence of excellent Peyman Moadi, reminds you of Asghar Farhadi and his cinema, but in fact, it is very much the Javidi film that stays in mind and not the great Farhadi as the audience think! The couple’s inability to come to terms with their troubles grips the audience and their search to find a solution for their plights involves us deeply. 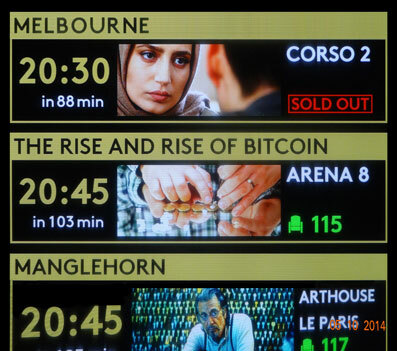 All this has made Melbourne a very intriguing film that one could find several ending for; a very special quality that makes it an open ended film for the audience. Flowers, a Spanish film directed by Jon Garano and Jose Mari Goenaga on future films competition section, is the story of Anna, a middle aged woman, who one day finds a bouquet of flower on her door steps. She does not know who these flowers are sent by. But the repetition of this act by the unknown sender puts her marital life in jeopardy. The unknown person who sends the flowers is killed in an accident and it’s only after this accident, that the identity of the person is revealed. 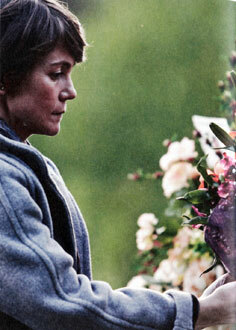 From then on, it is the woman who goes on putting the flowers on the spot where that person is killed. Because of the spoilers I stop just here. The film has a very interesting story which holds the interest of the audience with a spiritual love that of course has nothing to do with Zurich! The Festival’s best film in this category is A Moonless Night, an Argentine/Uruguay film made by German Tejeiras. On New Year’s Eve, three men are on their way to a little town in Uruguay. One of them is a widowed taxi driver who is going to meet his five year old daughter. The other one is a prestidigitator whose car breaks down in the middle of nowhere on his way to work, and while waiting for help meets a girl. The third person is a singer who has been freed from prison on a bail to give a concert. A very sad film full of loneliness and lost opportunities that one could imagine would certainly have the favors of the jury. Another film on main competition section is Insecure, a French film directed by Marianne Tardieu. This is the story of an annoyed warden of a big store whose life fall into a spiral of events, drastically changing his quiet life, after being ill-treated by a bunch of adolescents. Not a Festival discovery, an ordinary film with an ordinary ending. 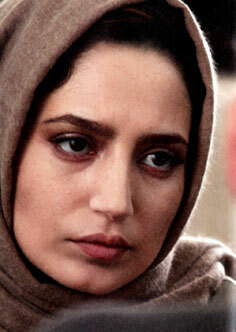 There are many narrative and documentary films in competition section. Although they have their distinctive followers, but perhaps one day, these two categories would be judged separately in two different festivals, as happened in Greece with Thessaloniki Film Festival. The award for best documentary went to Toto and His Sisters, from Romania, directed by Alexander Nano. It’s about difficult lives of three children in a little house in Bucharest. Their mother is arrested for selling drugs and now they’re obliged to take care of each other. The life of Toto and one of his sisters is radically changed when he is sent to an orphanage. He is now able to read, write, smile and dance! This is a bitter and deeply felt story about lonely people who live on the margins of society. Children of the Arctic made by Swiss director, Nick Brandestini won the best film award in the third section of the competition. In this film too, the children are at the center of attention. It is a documentary about Alaska and its local population where hunting whales has always been a part of their culture. But changes in modern life have influenced their lives too. The film is trying to show the difference in the point of view of the ones who try to keep the tradition alive and the children who are eager to educate and have a better life. It is important to note that the filmmaker is from Zurich and safeguarding the traditions in this region is of outmost importance. The Swiss Critics Association Award went to Underdog directed by Sweden filmmaker Ronnie Sandahl. Every year, the Festival publishes a survey on the number of tickets sold and level of attendance and Festival budget and compares it with previous events. One thing that proves the good health of a Festival is analyzing these data by the Festival consultants and to examine the strong and weak points of the Festival. This year the Festival attracted 79000 people which in comparison with last year show 11% growth. 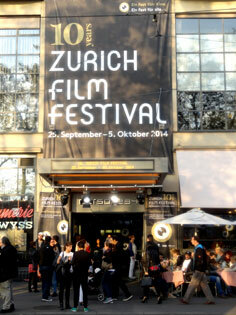 145 films were shown in 374 sessions and all of this shows that the 10th edition of the Zurich Film Festival is the most successful of them all. This year there were also some tributes including one for Diane Keaton, famous star of The Godfather trilogy and Annie Hall, who was awarded with Festival’s Golden Eye. During the educational workshops there were some famous directors like Fatah Akin who gave some lectures. One of the things that I noticed this time around was the number elderly men and women who were seen everywhere sitting side by side. You had the impression that they are still in love after all these years. You could see them in the streets, tramways, cafes, restaurants, stores and theatres. I’ve never seen such a whole lot of elderly couples who hand in hand came to watch the films. And it’s their love that I still remember from my short stay in Zurich.